So you’ve bought a brand new shiny Galaxy S9. You’ve just finished setting it up, using Samsung’s Smart Switch to transfer all the data from your old phone. You disconnect the USB-A to USB-C adapter used during the process and wonder … what else can this be used for? As it turns out, quite a lot. The adapter that ships with Samsung’s Galaxy S9 is a fully fledged USB OTG connector, and can be used for a bunch of fun things you didn’t realize you could do. Here is a handful of the coolest features that an OTG adapter makes possible. But wait, what is OTG and does it work with my phone? Before we start, it’s worth explaining what OTG is and what it does. 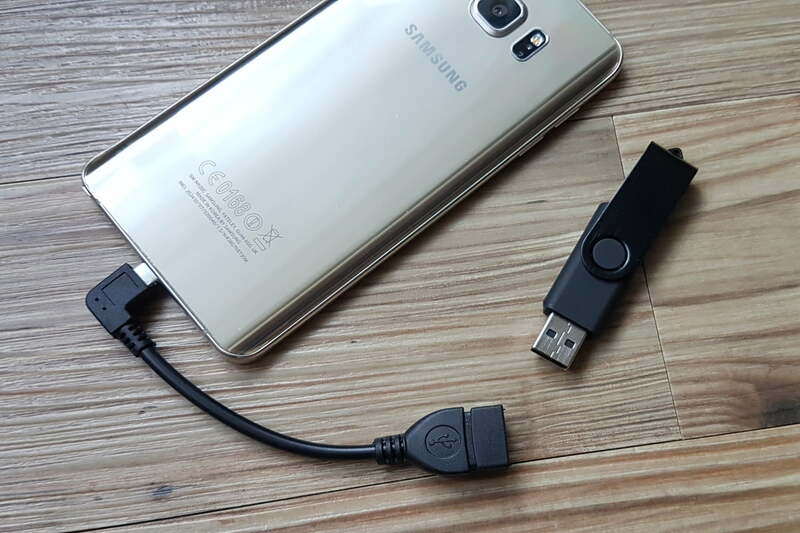 USB OTG, or USB on-the-go, is a feature that allows your device to read data from USB devices, essentially becoming a “USB host”. While not every phone has this option, it has become more and more common over the years, and it’s quite likely that at least one of your devices supports it. USB OTG works with both USB-C and MicroUSB connections, and finding out whether your phone has OTG is as simple as downloading and running a single app. Don’t abandon ship if you’ve lost your OTG connector, or simply don’t have one — Amazon sells USB-C and MicroUSB connectors that will work just as well with any phone that has OTG capabilities. Now you know what it is, let’s dig into what you can actually do with it. While smartphones can deliver everything we need in a pocket-sized device, if you’ve ever tried to play a game not designed for a touchscreen on a mobile device, then you know they’re not perfect. Sure, you can grab yourself a Bluetooth controller, but if you have a wired controller sitting around, then your OTG connector could save you a little bit of cash. 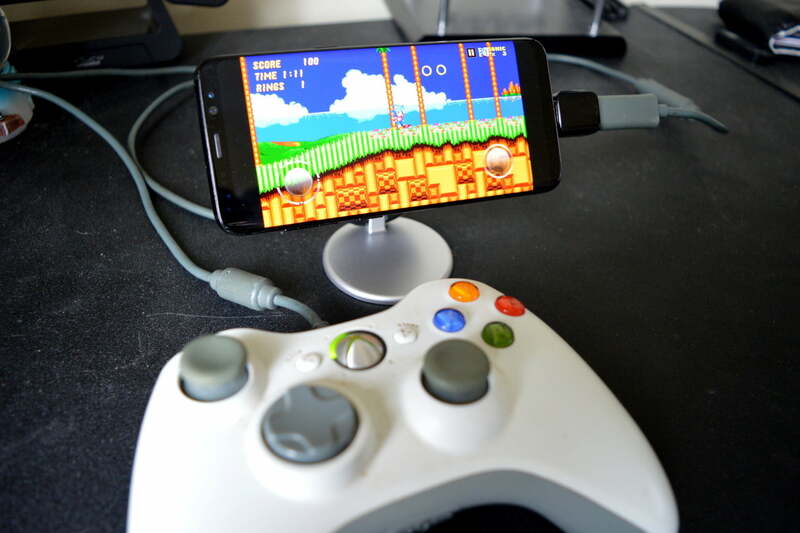 Just plug that controller into your OTG adapter and into your phone, and you can play some of the best mobile games using a controller. This doesn’t work for every game since some games were meant to be played with a touchscreen — so don’t bother trying Clash of Clans — but for classics like Sonic the Hedgehog or GTA: Vice City, a controller can make a huge difference in your experience. We tested an Xbox 360 controller with Sega’s Sonic 2 and it worked perfectly without any need to calibrate or change any options. Additionally, if you’re using a service like Moonlight to stream PC games to your smart device, then you can use your game controller to control the action. If you’re also lucky enough to own a Gear VR headset, then you can use your OTG connector to use that same controller in VR games. Just attach your connector to the USB-C plug at the bottom-right of the headset, and plug your controller in. Of course, there is an issue with this setup — since the OTG connector uses the USB-C slot, there is no way to charge your phone’s battery at the same time, which could be an issue in especially power-hungry games. So make sure you keep an eye on your battery level during your gaming sessions. Running out of memory is never fun. MicroSD cards and cloud drives help, but what if your phone doesn’t have expandable storage, or you don’t have a data connection to access Google Drive? Wouldn’t it be a lot easier if you could just jam a USB stick into your phone and transfer some files over? That’s something you can do with USB OTG, and a solid reason to own an adapter. It’s really easy to get this going. Just attach your OTG connector and pop your USB stick in. Then tap the Android System notification marked USB drive to be taken to a file folder. Now you can start transferring files. While this is one of the least exciting features of the OTG connector, it’s definitely one of the most useful and one that we can see ourselves using a lot. It’s not just USB sticks you can transfer files to and from. 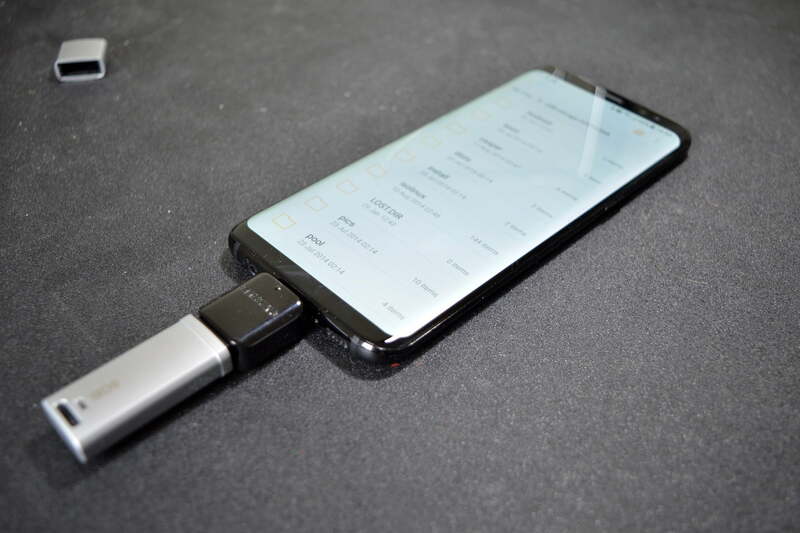 Since the primary use of the OTG connector is to transfer files and documents via Samsung’s Smart Switch, it makes sense that you can use the connector to quickly and easily access files on another device. Just connect the phones up using the other phone’s charging cable, tap the Android System notification, select Transfer files, and then navigate to the other phone by tapping the other Android System notification. 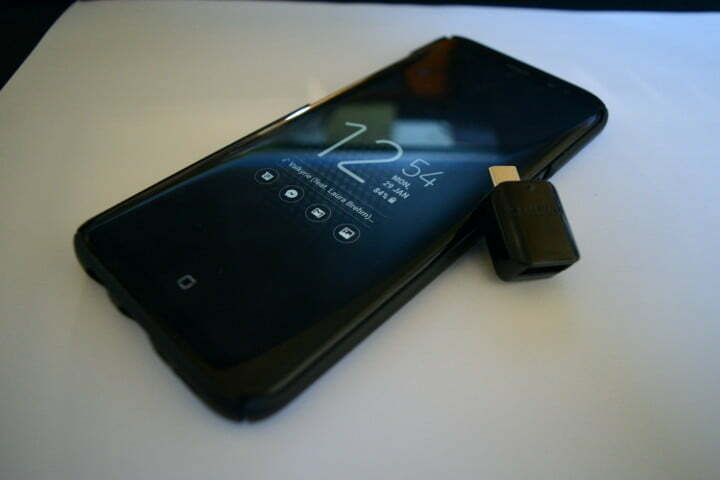 That is not all you can do with another phone — since you have your trusty OTG connector, you can plug their charging cable into your phone and give their phone some of your phone’s juice. Once connected, tap the Android System notification and make sure Charge connected device is selected. However, be aware that some larger devices like tablets will not be able to charge with the low power charge coming from your device. 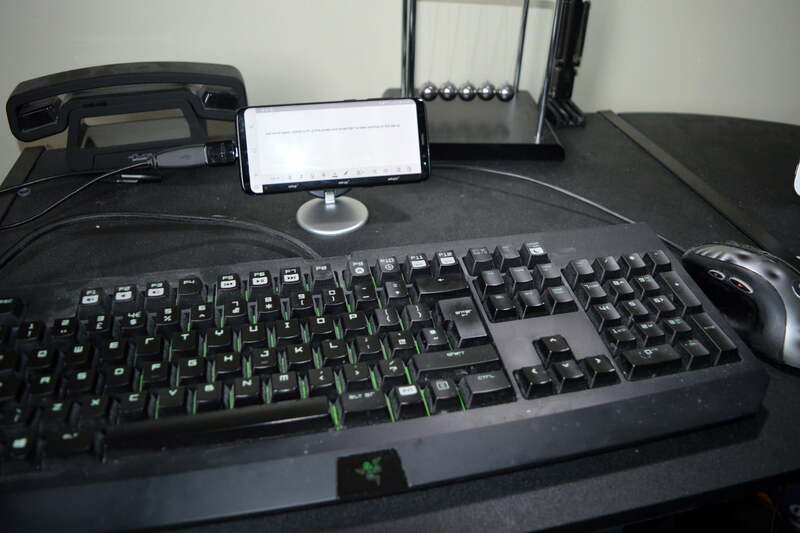 Alright, so it’s not exactly the same as Samsung’s Dex Station — but if you own a USB hub then you can get a desktop-like experience by hooking your phone up to a keyboard and mouse. By using a hub you can connect multiple USB devices at the same time, and give yourself a handier and faster way of typing. It’s useful for messaging apps and for writing longer messages, but as you might expect for a non-official implementation, it’s more than a little janky. While the mouse cursor still appears on the screen, you’re forced to use your device’s homepage in a portrait orientation, and can’t flip it into landscape mode. It’s definitely not the one-stop desktop solution that the Dex Station or all-new Dex Pad are, but it’s still fun to play around with. What is the point in having a bulky setup of microphones and laptops when all you really need is your phone, your trusty OTG connector, and a USB microphone? Whether you’re an enthusiast podcaster, a businessperson who takes part in a lot of conference calls, or someone who needs to travel with audio equipment, it’s important that you strike the right balance of sound quality, ease of use, and size. 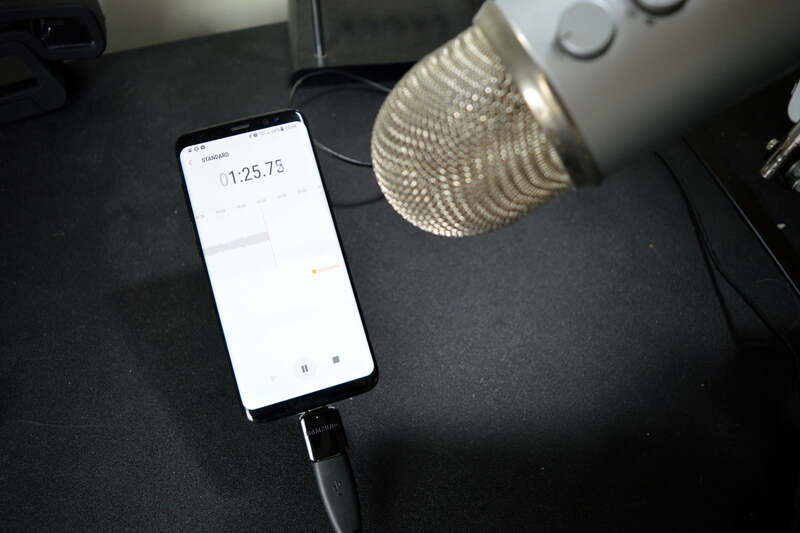 While the S9 has a good enough microphone, it doesn’t have the same omnidirectional or cardioid capabilities as a true microphone. Instead of compromising or spending large amounts of money on a voice recorder, try using your phone with an external microphone. Setup is easy — just plug your USB microphone into your OTG connector and into your phone. Then, pull down your notification shade, and hit the Android System notification. From the Use USB to menu, hit Connect as a MIDI device to allow the microphone to be used as an input device — then open your app of choice and away you go. This is definitely one of the coolest uses of the OTG connector, and it’s something that photographers are going to love. By using your OTG connector to connect your phone to a DSLR camera, you can use your phone as an extension of the DSLR’s own screen, taking advantage of the much larger screen and higher resolution to take even better snaps. The best app for this is probably DSLR Controller, and while it’s expensive for an Android app at $8, it comes with a huge array of features that make the high cost of entry worthwhile for everyone but the most occasional of photographers. 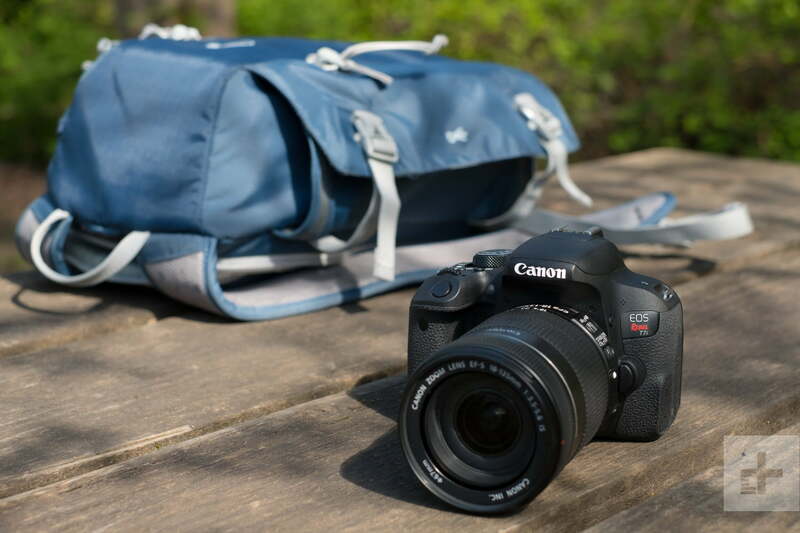 You can see your subject in real time, adjust the focus of your shot, view and change settings like the ISO, white balance, aperture, and even view your gallery of taken shots. If you’re constantly wishing your camera had a larger screen, or struggle to see the camera’s display while shooting at odd angles, then this is definitely the app for you. There is a free version of the app that functions as just a remote release, so you can test compatibility with your camera. The app works best with Canon cameras and has limited functionality with Nikon and Sony cameras, so make sure you test your camera before you buy. DSLR Controller’s website also has a ton of information that is useful for using the app, so make sure you read up to get the most out of your snaps.